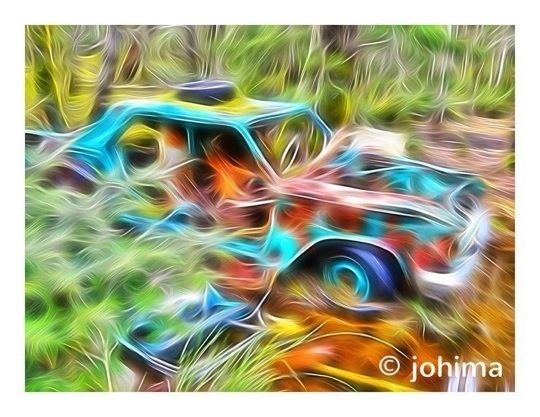 As I walked through the forest I came across this rusted out old car, colorful and turquoise … a work of car art. That’s how I saw it, at least, even before I took a photo. This was the coolest thing I had seen in awhile and I couldn’t wait to capture it with my iPhone camera and then rush to apply some apps to create some new art. But for now, here you go. This wild piece of camera art gives me so much JOY!